This is a simple idea that is actually two ideas in one. 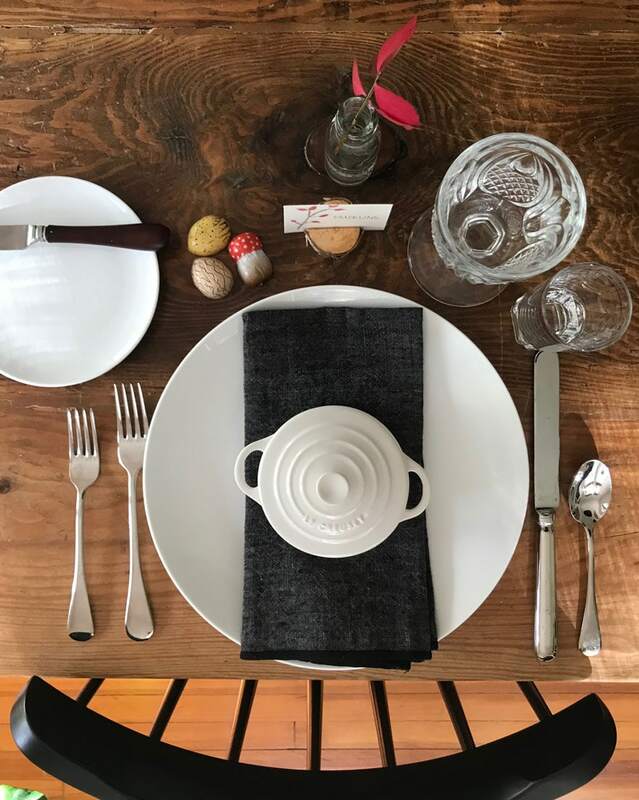 I’ve used these birch branch place card holders for photos, notes and of course on the table to hold place cards. 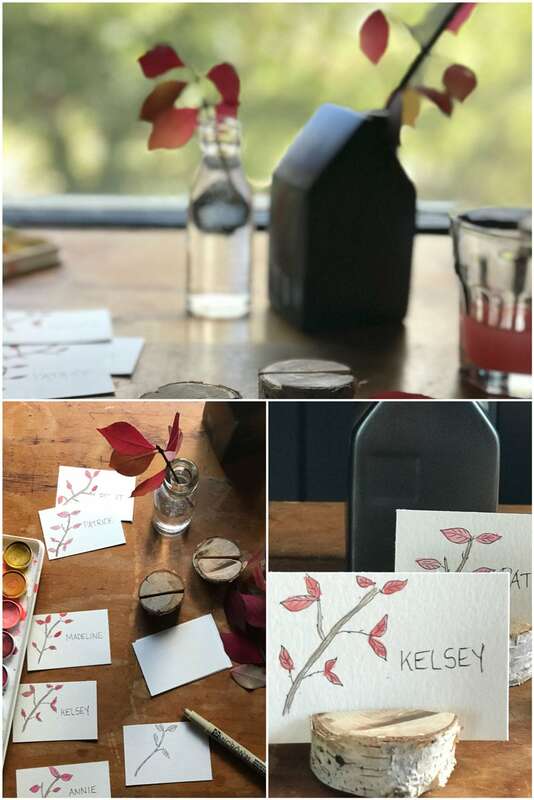 You can drill a small hole on one side to hold a tiny branch and a slice to hold a card on the other side making them very versatile for many table ideas. When I was at Target last night checking out the Hearth & Home Magnolia Collection I was tempted to buy these. But since my table is going to be a rustic setting (again) I decided to use what we already have. I did buy this darling house bud vase. 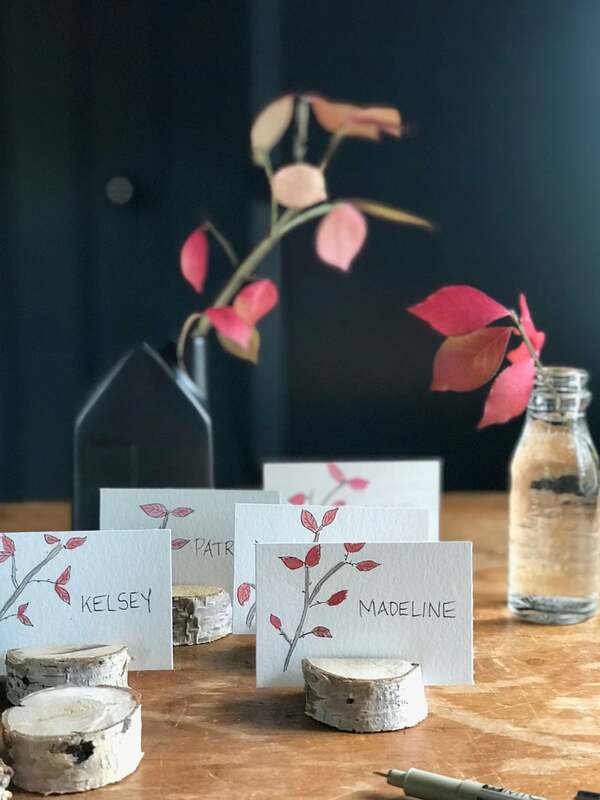 The branches with red leaves are what inspired the place cards. I love making them and the idea was just right there in front of me. I always have these supplies on hand which makes the project take about 15 minutes while I drink my morning coffee. 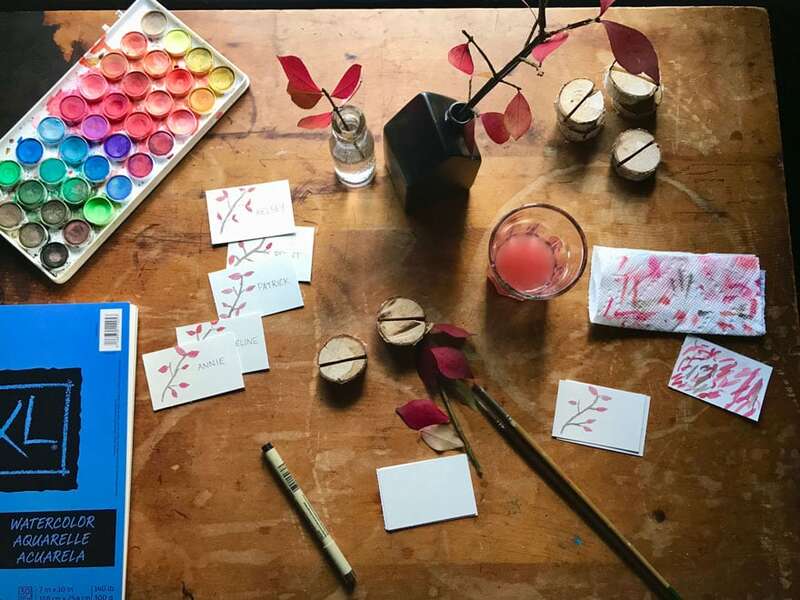 Supply list: Inexpensive watercolors, thick watercolor paper, a paper trimmer, a pen with a very thin tip, small paint brush and some leaves from outside for inspiration. Birch branches are easy to find after a good strong wind. They seem to drop good size limbs and I’m sure to head to a park that has several to retrieve a few before they are cleaned up and headed for the wood chipper. I used to drive my kids crazy when I would stop to collect things like this. Making place cards for our Thanksgiving table has become a tradition. My dear friend Nancy started the tradition of having her son write each card for their Thanksgiving table from the time he was very young and even now that he’s 23! Family traditions are what it’s all about. What’s your favorite for Thanksgiving?